Keep it Real: Day Two! Blog It! Well, I accidentally published day two a day early. Whoops! If these statistics aren’t enough to encourage magazines to stop photoshopping their already stick thin models then I don’t know what is. Perhaps a little cellulite in the magazine and media would bring the whole body image thing back down to earth. Personally I remember my 13 year old self thinking I was fat because I could pink skin on my thigh. Where I got that from I’ll never know. We need to do something to help young girls feel good about themselves and their bodies without looking to the media for unhealthy models (and role models) of people that don’t exist in real life, or if they do exist, are so thin that it’s unhealthy. The beauty industry has extremely unrealistic expectations of the employees. I recently read that Jennifer Aniston was asked to lose 30 lbs in order to be employed by the television show “Friends.” Unbelievable. Keep it Real asks magazines to stop the photoshopping and start redesigning beauty to involve a dose of reality – because even reality can be beautiful, believe it or not…. (Did you know that in some African countries, the bigger you are the better because that shows that you family has the means to feed you well.) The definition of beauty is constructed or created by our society and by the media that we consume. We get our ideas about beauty from the magazines we look at and the actors and actresses we see on t.v. How many slightly plump actresses are walking the red carpet. Ummmm….almost none…! And to make matters worse, how many pregnant actresses are shown three weeks after the baby is born with their pre-birth body all back in shape!? What kind of ideal are we striving for as pregnant women? It puts undue and unnecessary pressure on women, on children, on young girls and it’s not healthy! American teenagers spend 31 hours a week watching TV, 17 hours a week listening to music, 3 hours a week watching movies, 4 hours a week reading magazines, 10 hours a week online. That’s 10 hours and 45 minutes of media consumption a day. 53% of 13 year old girls are unhappy with their bodies. That number increases to 78% by age 17. 3 out of 4 teenage girls feel depressed, guilty and shameful after spending 3 minutes leafing through a fashion magazine. Twenty years ago, the average fashion model weighed 8% less than the average woman. Today that number is 23% less. 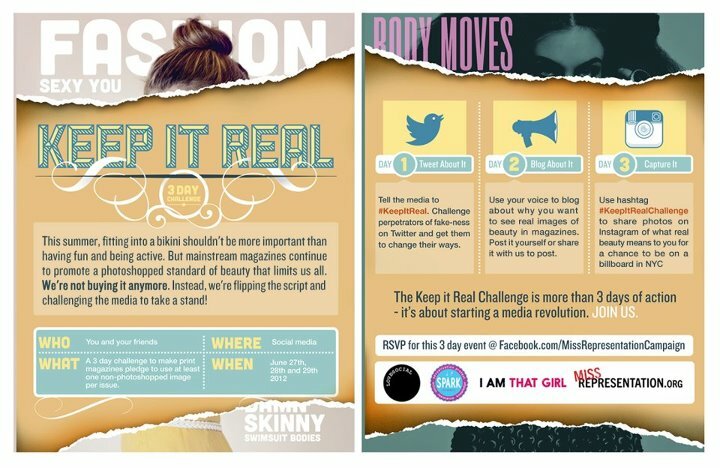 48% of teenage girls wish they were as skinny as models. 65% of American women and girls report disordered eating behaviors. Forty-two percent of first to third-grade girls want to be thinner, while 81 percent of ten-year-olds are afraid of getting fat. Eighty percent of 10-year-old American girls say they have been on a diet. The number one magic wish for young girls age 11-17 is to be thinner. 32% of teenage girls admit to starving themselves to lose weight. The number of cosmetic surgical procedures performed in America increased by 457% from 1997 to 2007. ← Shopping for and Choosing Infant and Toddler Shoes: Oh, the Places You Can Go! !